Screen mirroring for devices: iOS, Android, and Windows. Bring your own device and display it on the monitor. UVM health science faculty and staff, and UVM Medical Center professionals can learn more about reserving the classroom for events, classes, workshops, trainings, meetings, exams, etc. by contacting Kate Bright at kate.bright@uvm.edu. 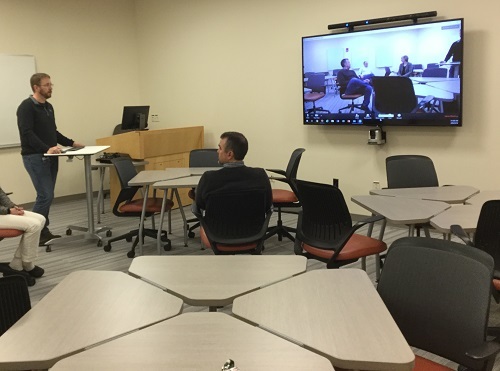 When the classroom does not have a scheduled event, the room is open for student use.